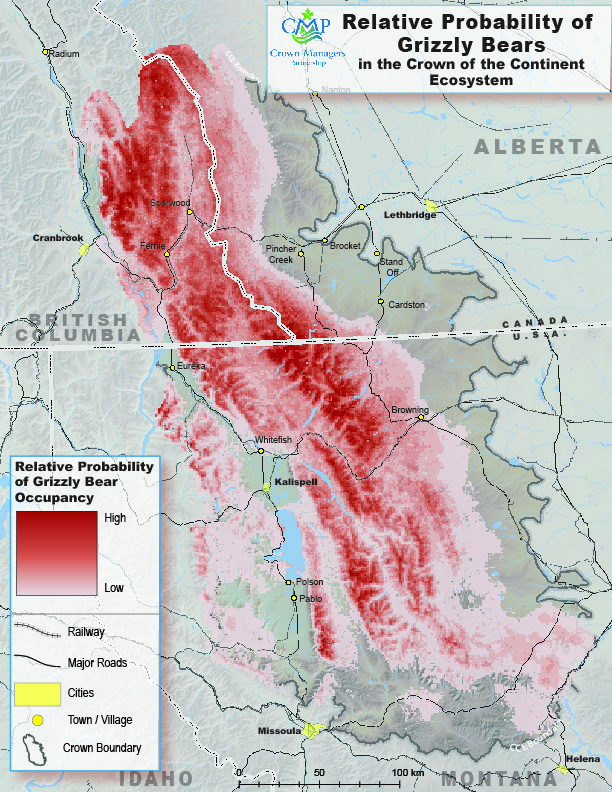 The Crown Managers have developed a spatially explicit occupancy model for grizzly bears across the full extent of the CCE. The landscape occupancy model was created using ecological variables compiled for the Crown by the CMP and grizzly bear detection data provided by our partners in Alberta, British Columbia, and Montana. Our work identifies landscape-scale factors that influence grizzly bear occupancy and compliments other fine-scale modeling activities occurring elsewhere in the Crown.